Macaroni and cheese makes a fine meal all by itself. I haven't made that in a long time!! Yum, I am hungry now! I love a hearty Mac n Cheese!! Such a comfort food! Mac n' cheese for supper tonight...yummy! Yummy. By the way your header totally made my mouth water. Now I want so good wings. Looks good. Thanks for sharing with Simply Delish. 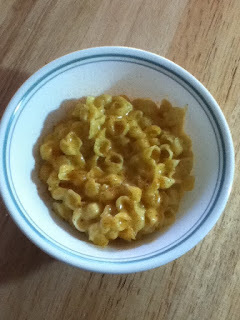 Your macaroni and cheese looks great and so much better than the boxed variety! I shared a sautéed mushrooms recipe, a moist pumpkin bread recipe, and a Shrimp Santorini recipe today. Thank you for hosting us again and have a great week!